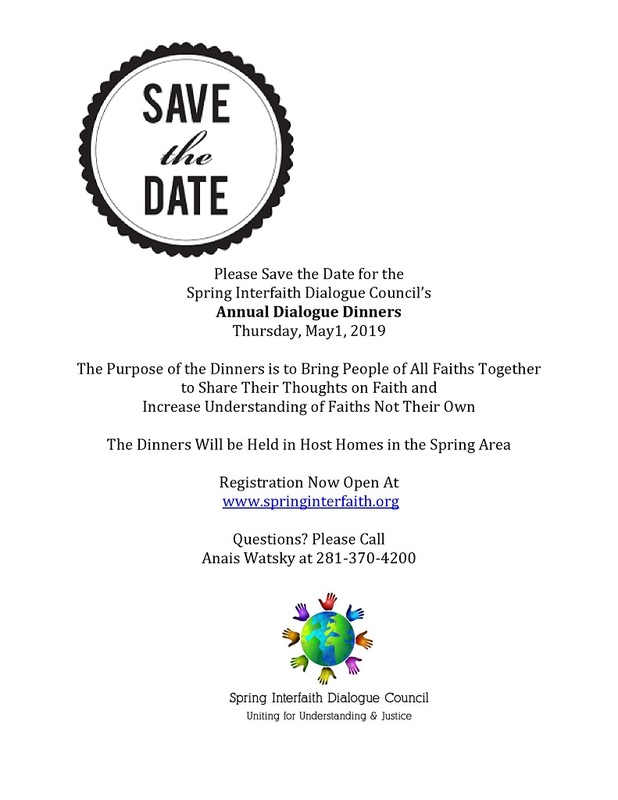 Please save the date for the Spring Interfaith Dialogue Council’s Annual Dinner Dialogues. The purpose of these Dinners is to bring People of all faiths together to share their thoughts on faith and increase understanding of faiths that are not their own. The Dinners will be held in host homes throughout the Spring area in Houston suburbs.